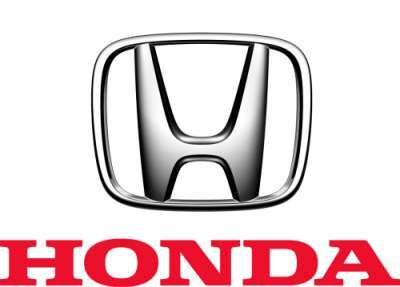 Honda Motor Co. has announced a new global recall of 304,000 vehicles due to potentially faulty air-bags. The models, all built between 2001 and 2003 and include the popular Civic and Accord, were found to have airbags that may inflate too much during a car crash, causing the airbag to burst due to excessive pressure. The excessive air pressure can cause metal and plastic pieces to project, and can cause injuries or deaths. Honda said there have been 20 accidents so far related to this problem, including two deaths in the U.S. in 2009. One of the deaths was a high school student who died after a crash in the parking lot of her school. The Japanese automaker announced the recall Friday, which affects the Accord, Civic, Odyssey, Pilot, CR-V and other models, manufactured in 2001 and 2002. The recall spans 273,000 vehicles in the U.S., approximately 27,000 in Canada, almost 2,000 vehicles in Japan, and another 2,000 in other countries. The latest recall is an expansion of a 2008 recall for the same problem, which was again carried out in 2009 and again in 2010. According to Honda, the recall now covers approximately 2 million vehicles worldwide. A Honda spokesman said that the cause was due to the use of incorrect material in the chemical used to deploy the air bags. The problem was later found to affect more vehicles than initially estimated, and the recall had to be expanded. The initial cause of the recall was due to excessive moisture in the inflator propellant, which is part of what inflates the air bag. But that problem was found later to affect more vehicles than initially estimated, as incidents didn’t stop. The recall was expanded to account for the possibility that the problem was caused by a defective stamping machine used during production. Also included in the latest recall are 912 air-bag service parts sold for installation in vehicles for collision repair and other reasons. Honda says they are extremely sorry about the recalls, but believes that the problem has now been taken care of, and there are no more recalls linked to this problem expected. They announced that they intend to contact owners of the affected vehicles at the end of December. Why at the end of December? Why not now? Why the added risk? I appreciate that I don’t fully understand the logistics of such an undertaking. Still.